Because Grapes Wine is committed to your privacy we are making our information policies transparent. Grapes Wine is the sole owner of the information collected on this site. We will not sell, share, or rent this information to others in ways different from what is disclosed in this statement. 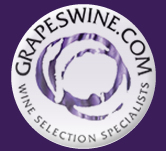 Grapes Wine collects information from our customers at several different points on our web site. No registration is required in order to use this web site, although a customer must create an account prior to any purchase. During account creation a customer is required to give their name, e-mail address, zip code, and a password. This information is used to contact our customers about the services on our site for which they have expressed interest. It is optional for a customer to provide a phone number, but encouraged so we can have another means to contact you regarding your order. We request information from our customers on our order form. Here a customer must provide contact information (like name and shipping address) and financial information (like credit card number, expiration date). This information is used for billing purposes and to fill the customer's orders. If we have trouble processing an order, this contact information is used to get in touch with the user. A cookie is a piece of data stored on the visitor's hard drive containing information specific to that visitor's use of the web site. Any information placed in the cookie is accessible only to www.grapeswine.com, and will not be sold or shared with anyone else under any circumstances. We use a cookie to store a unique session identifier, and this allows us to maintain your shopping cart from one page request to the next. We are also able to maintain your session information from one visit to the next. By setting a cookie on our site, our customers do not have to log in more than once, thereby saving time while on our site. If a customer rejects the cookie, they may still browse our site. Unfortunately, the customer experience will be greatly curtailed, as the customer will be unable to log in or make a purchase. Grapes Wine will share aggregate demographic information with its partners. This is not linked to any personal information that can identify any individual person. We use an outside shipping company to ship orders, and a credit card processing company to bill customers for goods and services. Our web site is supported by the Beverage Network who help with the technical operation of our web site and provide additional service as required. These companies do not retain, share, store or use personally identifiable information for any secondary purposes. We value your privacy very much at Grapes Wine, and will never release any account information to anyone outside of the necessary core groups that help our business function, like those mentioned above unless our customers give us the authority to do so. This web site contains links to other sites. Please be aware that Grapes Wine is not responsible for the privacy practices of such other sites. We encourage our customers to be aware when they leave our site and to read the privacy statements of each and every web site that collects personally identifiable information. This privacy statement applies solely to information collected by this web site. If you have any questions about the security at our web site, you can send an e-mail to our Customer Service department. If your person information changes (such as your shipping or billing address, etc. ), you can add new information or delete any addresses or credit cards from your account at the "My Account" page of our site. You can also modify your login information and opt out of our newsletter from the same page. Of course, if you prefer speak to a human, we can be reached at 1-800-434-WINE. Thank you for letting us get you the best wine discounts on the best wines anywhere on the web.